SuEllen’s expertise–and passion–is helping people discover and cultivate their values and strengths as resources for recovery from mental health challenges. 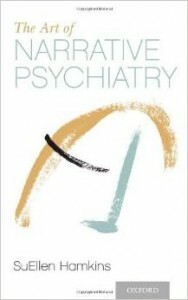 Narrative psychiatry empowers patients to shape their lives through story. Rather than focusing only on finding the source of the problem, in this collaborative clinical approach psychiatrists also help patients diagnose and develop their sources of strength. By encouraging the patient to explore their personal narrative through questioning and story-telling, the clinician helps the patient participate in and discover the ways in which they construct meaning, how they view themselves, what their values are, and who it is exactly that they want to be. These revelations in turn inform clinical decision-making about what it is that ails them, how they’d like to treat it, and what recovery might look like. Ten years ago, SuEllen Hamkins, MD, and Renée Schultz, MA, created the Mother- Daughter Project with other women in their community, hoping to strengthen their bonds with their then seven-year-old girls. The group met regularly to speak frankly about such issues as friendships and aggression, puberty, body image, drugs, and sexuality. The results were amazing: confident, assertive teenage girls with strong self-images and close ties to their moms. Equally important, the mothers navigated their own concerns about adolescence with integrity and grace. 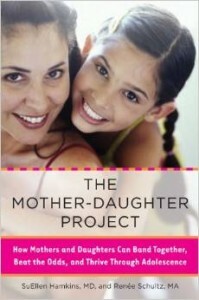 This book details the success of the Project’s groundbreaking model, providing the reader with a road map for staying close with her own daughter through adolescence and beyond.